I’ve always enjoyed this time of year with Summer coming to an end and Fall just around the corner. Not to mention the office supply stores are having some great back to school sales to add pretty pens and paper to my planner obsession. When I think about back to school I am reminded of some of my favorite teachers that had an impact on my life and my children’s. Although I cannot begin to imagine what it would be like to be a teacher. I feel like it is a hard job and generally speaking they do not get nearly enough credit that they deserve. I’m so very thankful that there are wonderful teachers who do make a difference and help mold our future generation into some amazing people. 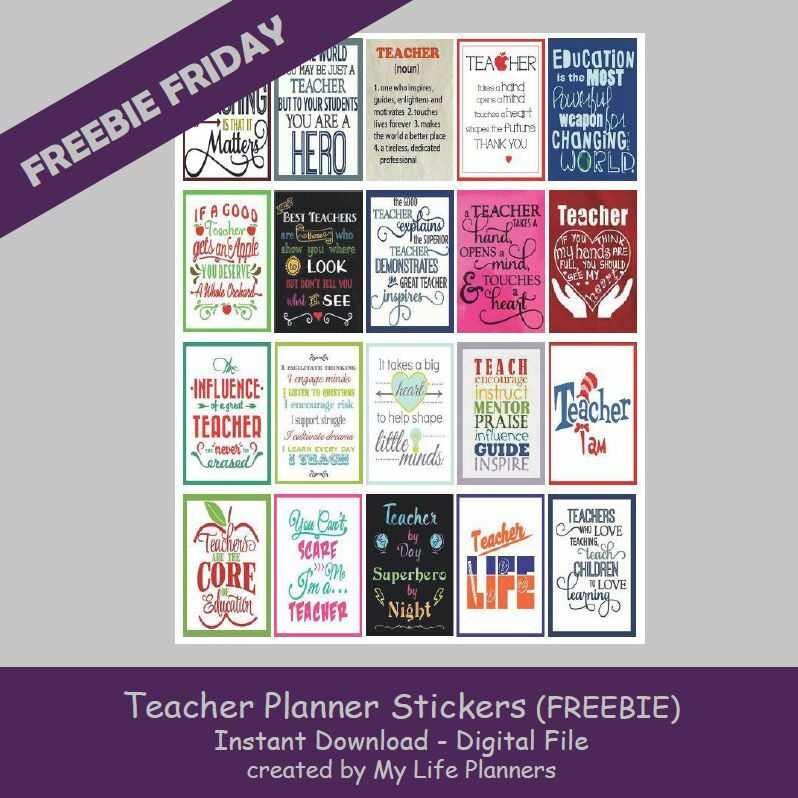 This is why I decided to make this week’s Freebie Friday feature about Teachers. So while you and your children are gearing up and getting ready to meet their new teachers and going back to school, make sure to thank a teacher and let them know how much you appreciate them. Why not give them a Teacher quote sticker and bring a smile to their day.